Click Here to apply for the 2018 Aztec Cup Keeper War and Skills Contest. Keeper Wars has Goalkeepers square off head to head in a 3 minute battle to score the most goals. We will also have soccer tennis and target shooting contest on Sept 29th weekend. For more info or you would like volunteer for the Aztec Cup, please email sdsu.aztec.cup@gmail.com. Do not forget to order your 2018 Azec Cup Gear!!! 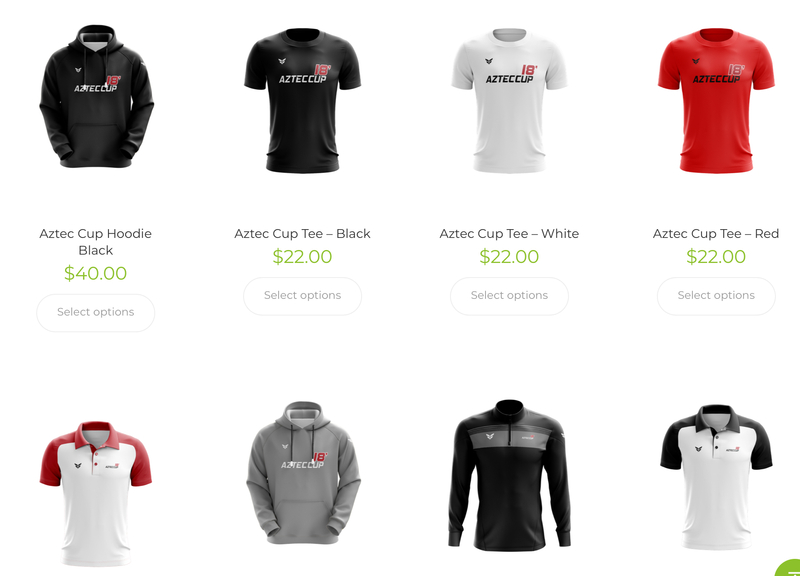 The official Aztec Cup tournament shirts are performance, moisture wicking shirts and extremely high quality. This is a must-have keepsake for your players, fans, and coaches! The ONLY way to guarantee your player, coach or family members the official shirts is by utilizing this pre-order form. Order deadline is August 15, 2018. Just go to www.flitesoccer.com/AztecCup to pre-order.